Bill Watson Industries has recently completed rendering works at Figtree Apartments, in Putney Hill. This is part of stage 1 of the Putney Hill Project, located in the border of Ryde and Putney, one of Sydney’s most established Northern suburbs. This project is the first phase of a 363 apartment project being built by Taylor Construction Group for his client, Frasers Property Group, and designed by one of the most influential Architectural firms in Sydney, Cox Richardson. 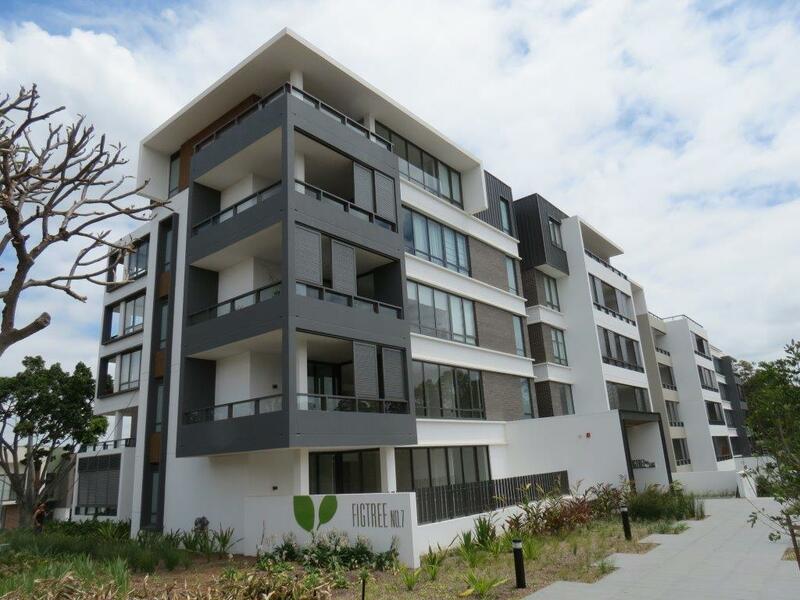 This particular project, Figtree apartments, consist of 54 high quality apartments, over 5 & 6 levels, with 2 levels of basement car parking areas and parkland landscape. The main building has been built with off form concrete, concrete block and masonry, most of which has been left as face brick work. Most of the concrete and concrete block areas have been rendered with Euromix Cream render and Euromix Skim, finished to a sponge finish, ready for painting. A lot of care has been taken to maintain a good quality finish in the rendering works, at the same time that other trades, such as moulding installers and calking specialist in particular, were applying their finishing’s as the render works were in progress.